The Observatory refers to the Upper Niger Basin and the Inner Niger Delta in West Africa, covering various climatic zones, ecosystems and land use patterns. The management of water resources forms the backbone of IWRM in the Upper Niger Basin. This Section provides a framework and up-to-date information on water quantity. Weather and climate patterns have a large impact on daily life and the livelihoods of communities in West Africa. This Section provides background and up-to-date information, in particular about rainfall in West Africa. The Upper Niger Basin and Inner Niger Delta cover a major rainfall gradient that is reflected by a high diversity of ecosystems, including dense gallery forests, savannas, arid steppes and vast wetlands. 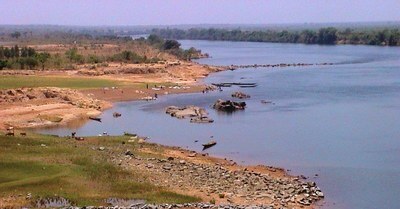 The rural economy and livelihoods of the rural communities in the Upper Niger Basin are strongly connected to the availability of water resources. This Section provides relevant background information and available data. The website OPIDIN for the forecast of the maximum flood peak and the inundations in the Inner Niger Delta is renewed. The Section on Rainfall offers a quick view on the current rainy season. As in former years, there will be a weekly bulletin with the prediction of the flood this season. Have a look a the new site! Today, Thursday the 31st of May the second version of the Observatoire is presented during a workshop in Bamako, Mali. During this meeting the progress, data and information are shared with the stakeholders involved. The flood prediction tool OPIDIN (www.opidin.org) predicts a high flood in the Inner Niger Delta in 2016. Based on the hydrological data of the Direction National Hydrologique and the water levels at Mopti and Akka, a flood level of 657 cm at Mopti is calculated by OPIDIN. This flood level is comparable to the high levels of 1976 and 1999. The Observatory Upper Niger Basin and Inner Niger Delta is an online information system that provides governments, decentralized institutions, ngo’s and (local) communities access to available data and information on Integrated Water Resources Management (IWRM) and related themes as climate change, precipitation, water management, environment and natural resources. This enables them to make more informed decisions on the management of the Upper Niger River and the Inner Niger Delta. The Observatory is an online information system on Integrated Water Resources Management (IWRM) and related themes of the Upper Niger River and the Inner Niger Delta. In this version available information is collected and presented in five themes. This version will be used to promote the use of the Observatory and the participation of governments, decentralized institutions, ngo’s and (local) communities. The Observatory – version 1.0 is the result of the cooperation of various institutes and organisations in Mali and Guinea in the Upper Niger Basin and the Inner Niger Delta. The setup and launch of version 1.0 is implemented in the framework of the project BAMGIRE, coordinated by Wetlands International Mali and financed by the Dutch Government through the Embassy of The Netherlands in Bamako.